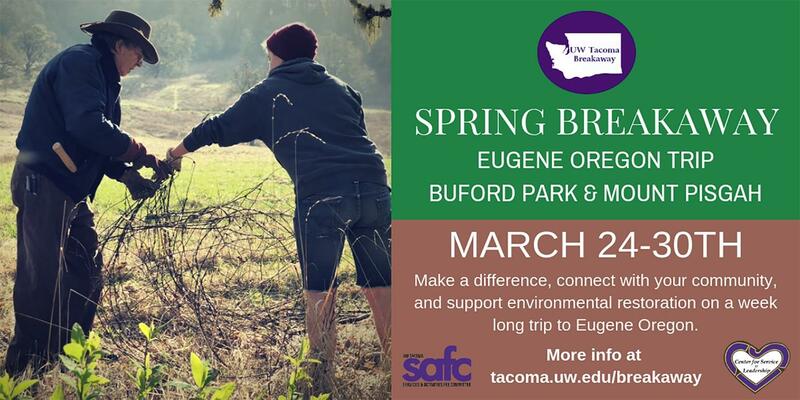 Tuesday, Feb. 5, 2019, 12:30 – 1:30 p.m.
Come learn about BreakAway trips and get help registering! BreakAway will be spending a week in Oregon doing environmental restoration. Come drink coffee, ask questions, and meet other people interested in BreakAway!